Nest halts sales because of the Protect smoke detector's "wave to dismiss" feature. Don’t “wave to dismiss” a Nest Protect alarm unless you really mean it. Nest, the Google-owned creator of smart-home products like thermostats, is halting sales on its Protect smoke detector while it investigates a potential problem with one of the product’s beloved features. 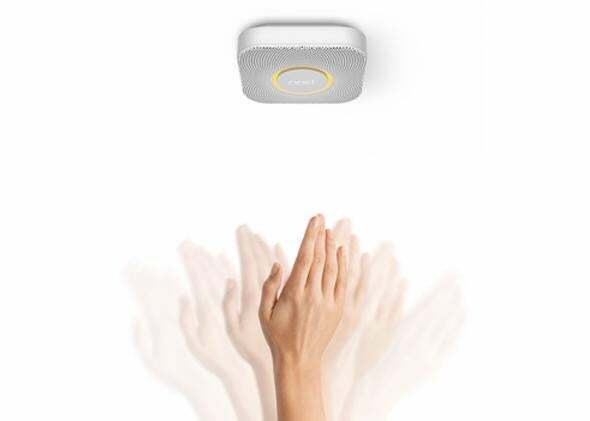 With “Nest Wave” or “wave to dismiss,” users turn off the smoke detector alarm by simply waving their arms at it. This is very useful if, say, you are prone to burning bacon. Except that in recent lab tests, Nest found that the feature may cause the smoke detector to stop issuing alarms during actual emergencies. Nest says in an FAQ about the situation that it is not recalling Protects. Instead, the company is discontinuing sales, sending out an automatic update to deactivate Nest Wave on all Protects with Internet access, and asking people who don’t connect their Protects to Internet full time to disable Nest Wave themselves using the Nest app. Once Nest Wave is disabled, the Protect still functions as a smoke and CO2 detector/alarm—but users will need to press the large button on their Protects if they want to indicate a false alarm and stop the device from going off. Nest says it hasn’t had any reports of the Nest Wave problem affecting real-life situations, but the company clearly thinks there is a legitimate concern. The beauty of the Internet of Things, though, is that Nest should be able to devise a firmware (the code that coordinates hardware and software in a device) or software solution so Protect users can do a software update on their device to fix the problem. No need to buy new hardware! That update, though, will have to be cleared with regulators in the U.S., Canada, and the U.K. This may be a setback for Nest, but the Protect is still far more pleasant to use, and if an ambitious cooking project goes awry, at least the alarm is a calm female voice instead of an infuriating shrill beep.